The fourth episode of THE KENTROVERSY TAPES podcast features part two of a two part interview with Freeman Fly, the Internet truth-telling broadcaster, documentarian, and journalist. 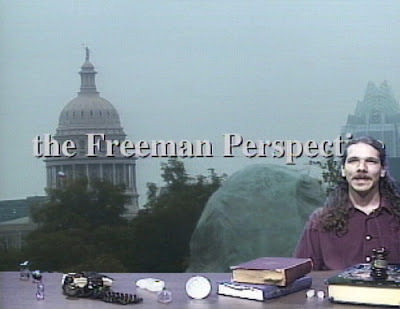 Freeman is the host of the award-winning television show THE FREEMAN PERSPECTIVE ... this guy is one of the most fascinating people I know! In this second part of the two-hour interview with Freeman Fly, we discussed many subjects that are deadly important to our times and our survival. Freeman Fly, the Internet truth-telling broadcaster, documentarian, and journalist -- is the host of the award-winning television show THE FREEMAN PERSPECTIVE ... This is TRUE MUST-SEE TV! Freeman talks about how the Global Elite require our free-will acceptance of their nefarious activities and deeds. 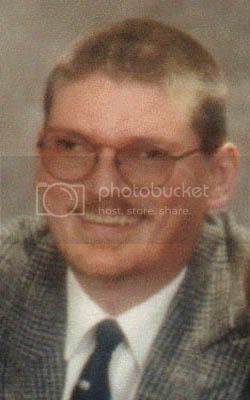 Freeman talks about the upcoming 700th anniversary of the purge of the Knights Templar, which occurs on Saturday, October 13, 2007. Freeman and I talked about Iran being used as the scapegoat in the next false-flag attack on American soil. The U.S. military SHOCK AND AWE campaign, and its' connection to Jewish mysticism. "I feel very guided, and I feel very protected. I know I have a guardian angel -- and I have had too many miracles in my life. For me, this whole thing is what God is asking of me. And so, this really gives me the hope that we are going to make changes, and people are going to start becoming aware. I feel like a messenger; I feel like an ANGEL. This is what guides me and moves me forward, and as long as these miraculous events continue, which I know they will, I will keep moving forward." Saddam Hussein as the reincarnation of Nebuchadnezzar. The CIA stated that they could NOT disprove this assertion. The USA attacks Baghdad with the MOTHER OF ALL BOMBS (MOAB's). THIS is the exact story of Nebuchadnezzar from the Bible! Freeman talks about how the the Elites are actually SOUL SNATCHERS, and that this is a spiritual battle, more than it is a war against an enemy nation. Freeman discusses the Elite being SOUL SNATCHERS, and that what we are now facing is a spiritual battle, and nothing else related to war and empire building. The miraculous nature of the information that comes Freeman's way. "I go through my own ups and downs, and there are times when I lose all hope, even people who are aware -- I don't see them changing their actions. I know of the miraculous nature of the Universe, and I know we're here to learn these lessons. There aren't going to be any extra-terrestrials that are going to come to save us, because we have to save ourselves -- that's the whole point of us being here." Freeman's appearance at ESOZONE, which is in Portland, Oregon USA, from August 10-12, 2007. He will be speaking on the subject of REALITY MANUFACTURING. Freeman Radio, on the Revere Radio Network -- Tuesday nights. We also spoke about Freeman's forthcoming book 'Confessions of a Conspiracy Theorist.' This will likely be SELF-PUBLISHED. REVENGE OF THE SITH and its' relation to current events. Freeman mentions that it could very well be that Hillary Clinton will be the 'Senator' from the film who comes to SAVE society from the evil that plagues them. The national leaders of the USA, UK, and Russia are all intelligence agents, e.g. Bush Sr. (CIA); Blair (MI5); and Putin (KGB). Paul Laffoley's 9/11 revelations concerning the WTC and Bin Laden Construction Company. High-Tech Spiritual Warfare, which has more to do with soul energy, than it does with oil or money. WHY marijuana is FORBIDDEN in the mind-control system. In closing, we talked about 2012, and its' true significance, in terms of ascension and the galactic center. The Freeman Perspective with Kent Daniel Bentkowski (aka Kentroversy) NOTE: Please fast-forward to 5:00 mark, to beginning of show, which was taken from a raw feed.